Drowning is one of the leading causes of death for infants and toddlers in New York. It happens every day to every type of family….and it’s preventable. Anthea's Swim Academy (ASA) teaches children from 18 months to 6 years of age how to save themselves if they were to end up in the water alone. Give your child the gift of safety while providing them with the foundation for a lifelong love of the water by giving them Survival Swim Lessons! What are Survival Swim Lessons? 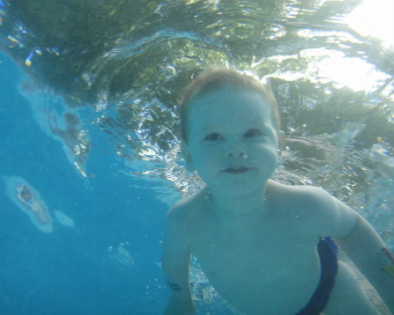 Survival Swim Lessons for infants and toddlers is another line of defense in the prevention of drowning. Through highly effective, specialized Survival Swim Lessons, babies and children learn how to be aquatic problem solvers and are taught how to avoid tragic accidents in the water. Babies (6-12 months) learn to roll onto their back to float and breathe while waiting for rescue. Children (1-6 yrs) learn to swim, roll to their back and float to breathe, and then flip over to continue swimming until they reach the side and can climb out or be rescued. In addition to these highly specialized Survival Swim Lessons, Anthea's Swim Academy also offers stroke lessons and private coaching to Survival Swim graduates and older children and Adult swim lessons for all skill levels. Check out the Lessons page for more details! and keeping your child safe around the water! The best gift you could ever give your child is the gift of life - enroll your child today!